From generation to generation, from Mother to Daughter, this female-led play explores what it means to be a woman in the 21st century and the consequences of the generational gap on our attitudes, cultural expectations and family dynamic. From wedding celebrations to relationship disillusionment, 3 Women is razor-sharp funny and caustically irresistible. 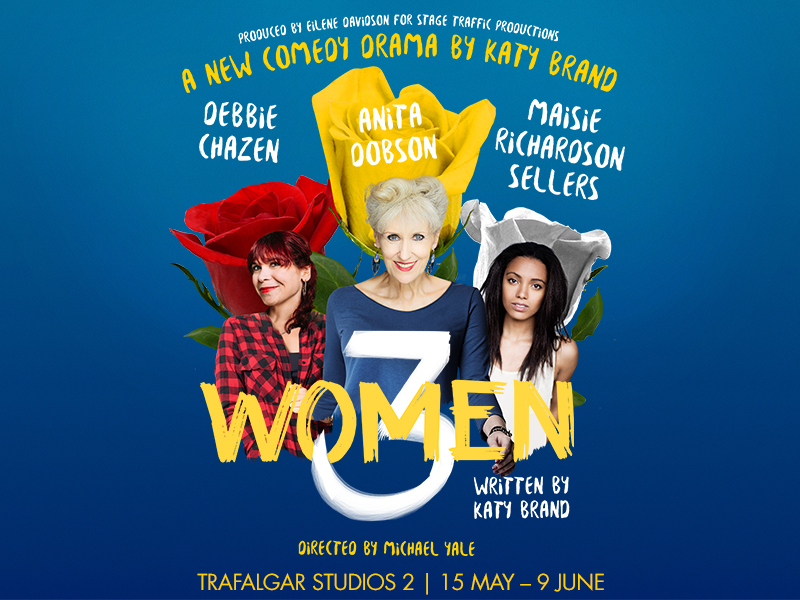 Starring Anita Dobson as Eleanor, Debbie Chazen as Suzanne and Maisie Richardson-Sellers as Laurie, this hilariously frank and original debut, brings our three women and their own very different identities and opinions into one hotel suite for a single night of redemption. What will be revealed? “Sharply and convincingly explores intergenerational tension.